My name is Michael Cummings, but am changing my name too Ubaidah. This is my story of reverting/converting to Islam. Well I was raised Baptist in rural Kentucky. But I’ve always been different from my family, especially when it comes to wanting to learn about other cultures. Both of my brothers joined the military and have since both moved on to other career fields after serving in Iraq. Well one of them is now homeland security and in college to be a Christian preacher. But I had strayed away from Christianity after I started to question the Bible and couldn’t get answers from any preachers, so I started to seek the truth of religion. I looked into everything from Mormon to Rastafarian, but during the election of trump and all the hatred that came with it, it peaked my interest to find out what Muslims actually believe because all I really knew was what you see on TV and movies. So I proceeded to research and to ask Muslims what they believe and I ordered a Quran and just started to read. Everything I learned about Islam just made sense to me. So I decided to tell my mom I was converting to Islam, she was not happy (still isn’t). Then she decided to take it upon her self to call my homeland security/preacher brother and tell him. So that obviously didn’t go over well. Pretty much everybody I’ve known my whole life see me as an enemy now, but by losing a few family members I gained about 1.7 billion new brothers and sisters. I am also giving dawah to all my friends and have a few that are very close to accepting Islam Insha’Allah. I just pray that Allah continues to guide me and my friends and maybe even my family one day. I used to go to temple along with my frnds. It's not because I had faith and I'm going. Just to spend sometime with my frnds ,I used to go. I'm more of fun loving kind of girl,who always wants to be out along with frnds.! I'm so much attached to my frnds . I always used to have so much of confusion since my childhood, which god should I pray. ?I always used to think If I pray to this god, then won't that god feel bad.? People say, this is my favourite god and all.! I always used to think of myself , which is my favorite.!!! I heard a story of ganesh (idol), how ganesh has been born and all. It's been told that , he has been made of clay by parvathi(his mother) and as a security ,she asked him stay out and not to allow anyone inside. And then shiva(her husband) comes and tries to go inside . Ganesh tries to stop him, and then shiva out of anger , stripped his head. Lol , so I used to think, how can a god not recognize his son ?? May be , that's why, I think I didnt have much faith in God. I never thought of Allah. Infact I didn't know about allah.! I never had muslim frnds. I used to get scared to talk to muslims.or even if I look at them, I used to get irritated. I dnt know why, but I used to hate them . Told that idol worship is a sin. Told me about ibrahim (a.s) story, about jannat and hell.about the existence of life hereafter. I used to feel bored ,when my frnd used to tell.me about islam and hinduism. Calmly, I used to listen. I didn't had intrest of learning about islam in the beginning but after few days, I dnt know why., My heart started crying 'allah' for evrything. I slowly started reading books and learnt how to pray.! Within few days, my family members, found books in my room and took away them ,but didn't ask me anything. I was scared to ask them about my books.so I left it off. I used to pray 'fajr' ki namaz . My dad wanted me to become a doctor. So to fulfill my dad's dream, I used to work hard and study. I didn't had time to learn about islam in that year. Finally, I wrote my final eamcet exam .I was in a counseling hall. There were least chances for me to get a seat in mbbs,. I was just praying. Allah plz keep one seat for me.! Alhamdulillah, there were only 2 seats left. I felt so happy and came out of the counselling hall. A lady in burqa, came and asked me if I knew telugu.i said yes.! She gave me a book and asked me to read that, and left.! I feel that as a miracle in my life. After few days, in 2k14 may be in November or something like that, I created an account on fb, so that I can find contacts and learn about islam.! Still, I didn't had complete faith in allah.! I always used to get so many douBts , regarding religion and all..
'zakir naik' I say ,he is my inspiration. His teachings made me Increase my faith. Alhamdulillah, whatever doubt I used to have, allah ta'ala used to send me answer in some way. I used to cry out to allah. I don't know the pillars of islam and I had no idea about it. There was not even a single person who would help me in teaching islam. I spoke to so many people on fb begging them to teach me about islam. Many people spoke very sweetly, promised me that they would teach evrything about islam and all.! But everyone used to talk for few days and then they used to get busy with their works and all.! Somehow, through my frnd, I came in contact with maulana , alhamdulillah. He helped me so much in teaching me the basic things and I took shahadat officially on 10th april 2k16. Alhamdulillah. That frnd of mine ,in ( 2k12 ) used to tell me about the importance of girl in islam. Asked me to dress properly and always used to ask me to cover my hair. The wonderful quote 'women should be like a pearl' which is always closed in a shell" . Hair is the most attracting part of the body"
I always used to feel it as burden to cover headscarf. That frnd of mine, left my place and later all those words reflected upon me.. When I developed faith in allah completely, I got to know the value of hijab , alhamdulillah. But still, I used to not wear hijab , coz was scared about the society and family members. In 2k17, I started praying regularly , alhamdulillah. My iman became strong. That's okie, allah is with me. Even if people talk behind me, that's oke. No worries.i started wearing hijab. Alhamdulillah. I told many people about my faith towards allah. In 2k17 I've been caught in my home during ramdhan.i always used to make dua, that if my family members comes to know about me,they should not react in bad way.they should understand my belief towards allah. Subhanallah, allah ta'ala gave me so much of guts to talk about islam and hinduism with my mom and sister And convinced them about my belief. I thought ,my situation would be worst if they get to know aBt me, but alhamdulillah, allah ta'ala accepted my dua. I asked them to prove 'islam is wrong " I spoke so many things about islam and hinduism. I was totally shocked to myself.,coz I never dare to speak such words with them. I talked like a matured girl. Alhamdulillah. Even my mom and sister were shocked looking at my speech . Finally, they told ,they don't have prblm of me being a a revert, but they were scared of the society and about my daddy . They told me that they would make me to marry to a non muslim guy only. I was scared , but then I thought to myself , when allah is with me, why would I fear.!!? Allah will never let that happen ,in sha allah. So, this is my story .! Plz make dua for me.! May allah ta'ala give me a pious muslim family and give hidayat to my parents, ameen !! When I announced to my friend that I am planning to have an arranged marriage. She was little shocked, though she knows that I am a hijabi and quite serious about my faith and practising Muslim. Alhamdulilah!!! After digesting the news, She retorted back - why would a beautiful, privately educated with post graduate degrees, who was born and raised in London with an affluent background and highly paid women would opt for old fashioned arranged marriage where I don't know my future husband at all. According to her I could have any man, as I am in my prime. That is exactly why I need to have a arranged marriage because I was in a position where I can, as not many are in that position. I have seen women who struggle to find a spouse in western world who do not conform to a certain societal norms or are not considered to be 'Beautiful' or have passed their prime. I have seen four of my best friends who had arranged marriage and were pretty happy. I have also seen people who had 'non-arranged' marriages and are pretty happy, but most of them were divorced. I am not trying to generalise here, but the point is that Marriage is a risk and a gamble, so why not get little help from someone more experienced -my Mom and Dad. The most important reason for me to have an arranged marriage is that I trust my mom and dad completely and there is nobody in this world who understands me better or have unconditional love for me. They are far more experienced then me about life. They will always put myself first in making any decisions or finding prospective groom. They will consider not only my faith, but also education, family background and compatibility. Moreover I always have an option of first refusal. The advantage here is that it will be a collective decision with collective wisdom, compared to mine alone. While growing up I was pretty independent and thought that the idea of arranged marriage was outdated, but as I got older, when I saw my friends dating, I realised that the business of dating was very cumbersome, time consuming and non productive. Moreover UK statistics says that on average a person has eight sexual partners before they get married, if they get married than around half of them get divorced. So knowing or dating your future spouse is not really a fool proof or gamble free solution. It is rather more risky. Also I can use that Dating/knowing him /going around time for something more productive like enhancing my career or pursuing my passion which is reading/learning. It is actually a matter of privilege to have people who can arrange your marriage as not many have that privilege. May Allah make marriages easy for all young men and women. 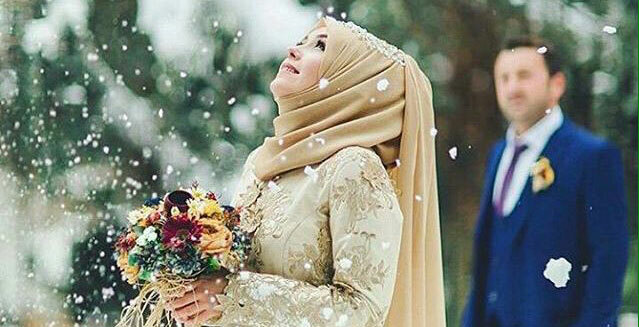 Can a Muslim women marry a non-Muslim? “ ‘And give not (your daughters) in marriage’ means, do not give Muslim women in marriage to Mushrik (pagan)men. The ummah (Muslim nation)is agreed that a Mushrik should not marry a Muslim woman because this is like putting Islam in an inferior position. (Tafseer al-Qurtubi, 3/72). Chapter: when a mushrik or Christian woman who is married to a dhimmi (non-Muslim living under Muslim rule) or a harbi (non-Muslim belonging to a people who are hostile towards Islam) becomes Muslim. ‘Abd al-Waarith said, narrating from Khaalid from ‘Ikrimah from Ibn ‘Abbaas: if a Christian woman becomes Muslim shortly before her husband, she is forbidden for him… Mujaahid said: if he becomes Muslim during the ‘iddah [waiting period following divorce], then he may (re)marry her. Allaah says (interpretation of the meaning): “They are not lawful (wives) for the disbelievers nor are the disbelievers lawful (husbands) for them” [al-Mumtahanah 60:10]. Al-Hasan and Qutaadah said concerning two Magians who became Muslim that their marriage was still valid. If one of them had become Muslim and the other had refused, the woman would have been divorced and he would no longer have any rights over her. (Saheeh al-Bukhaari. See al-Fath, 9/421). Zaynab, the daughter of the Prophet (peace and blessings of Allaah be upon him). She was married to Abu’l-‘Aas ibn al-Rabee’ during the Jaahiliyyah (pre-Islamic days of ignorance) but when she became Muslim, their marriage was annulled, and she went and stayed with her father (peace and blessings of Allaah be upon him). When her husband became Muslim, the Prophet (peace and blessings of Allaah be upon him) sent her back to him. (Narrated by al-Tirmidhi, 1143; Abu Dawood, 2240; Ibn Maajah, 2009; classed as saheeh by Imaam Ahmad, 1789. Al-Tirmidhi said, there is nothing wrong with its isnaad). The correct view is that the husband can go back to her with no need to renew the marriage contract. If the woman is still in her ‘iddah (waiting period), he has more right (than anyone else) to marry her. If her ‘iddah has ended, she is free to choose whether to go back to him or not. On the basis of this hadeeth, the scholars said that if a woman becomes Muslim before her husband, then her husband becomes Muslim whilst she is still in her ‘iddah, then the husband has more right to her whilst she is still in her ‘iddah. This is the view of Maalik ibn Anas, al-Oozaa’i, al-Shaafa’i, Ahmad and Ishaaq. 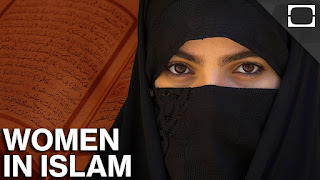 There is no dispute among the scholars concerning the fact that if a non-Muslim woman becomes Muslim then her ‘iddah ends, her husband has no rights concerning her if he has not become Muslim during her ‘iddah. But what the ruling of the Prophet (peace and blessings of Allaah be upon him) indicates is that the marriage comes to a halt. If he becomes Muslim before the end of her ‘iddah, then she is (still) his wife, but if her ‘iddah ends, then she may marry whomever she wants. If she likes, she can wait for him, and if he becomes Muslim she is his wife and there is no need to renew the marriage contract. Talhah ibn ‘Ubayd-Allaah was married to Arwaa bint Rabee’ah ibn al-Haarith ibn ‘Abd al-Muttalib. They were separated by Islam, then in Islam Khaalid ibn Sa’eed ibn al-‘Aas married her. She was one of the [Muslim] wives of the non-Muslims who fled to the Prophet (peace and blessings of Allaah be upon him). The Prophet (peace and blessings of Allaah be upon him) kept her in Madinah and married her to Khaalid. It was reported that Anas said: Abu Talhah married Umm Sulaym and the mahr (dowry)between them was Islam. Umm Sulaym became Muslim before Abu Talhah. He proposed marriage to her and she said, “I have become Muslim. If you become Muslim I will marry you.” So he became Muslim and that was the mahr between them. The daughter of al-Waleed ibn al-Magheerah, the wife of Safwaan ibn Umayyah, became Muslim before him, and the marriage was annulled. Then he became Muslim later on, and she went back to him. It was narrated by Maalik in al-Muwatta’, 1132. Ibn ‘Abd al-Barr said: I do not know of any unbroken saheeh isnaad for this hadeeth, but it is famous and well known to the scholars of seerah, Ibn Shihaab, the leader of the scholars of seerah, and al-Shu’bi. The fame of this hadeeth is stronger than its isnaad in sha Allaah. Umm Hakeem bint al-Haarith ibn Hishaam, the wife of ‘Ikrimah ibn Abi Jahl. Her marriage was annulled, then he became Muslim during her ‘iddah, so she went back to her husband. The reason for this article is when I came across few women who claim to be ‘Muslim’ married to non-muslims run few heretic websites and FB page telling Muslims that it is Halal. The interpretation of Quranic verses (2.221) is unanimous among all male and female scholars for last 1400 years except by the modern day Google Sheiks who try to change its interpretation. Islam is about changing ourselves, not changing Islam for our convenience and sins. This begs a questions who are they funded by? are they funded by their own ignorance/personal Prejudice/Hate or by those who spend billions of dollars in fanning the industry of islamophobia to keep Muslims away from Islam. All praise is due to Allah, Lord of the Worlds: The Entirely Merciful, the Especially Merciful. Glory be to our Perfect Creator and Master. Praise be to Allah, the Eternal Refuge. I ask for His Peace and Blessings upon our Noble Prophet, the Last Prophet, Muhammad ﷺ, and his family, as He bestowed his Peace and Blessings upon Ibrahim ﷺ and his family. I thank Him for his Blessings upon me, and for guiding me to the Straight Path, which is Islam, and for removing the veil from my eyes through His Mercy so that I could understand the Glorious Qur'an is His Direct Speech. I seek His Forgiveness, and I ask Him for Paradise, and to save me from the torment of the grave, and the torment of the Fire, and the trials of life and death, and the evil of the trial of the False Messiah. I was raised as a Catholic in the Midwest United States. My grandmother taught me most of what I knew about religion, and she instilled in me a deep love of Jesus ﷺ and his mother Mary (peace be upon her) and Saint Michael the Archangel ﷺ. She was from Ireland. My parents sent me to private Christian schools, and I heard about Islam for the first time in my high school religious studies class. We were taught that there were five "Great" religions: Hinduism, Buddhism, Judaism, Christianity, and Islam. I came away from that class with the idea that these religions were equally good and correct: Five different ways of being "spiritual." The next time i heard about Islam was in university in a course about Judaism. The Qur'an on the list of required books. My copy - the Yusuf Ali translation - was very small. It had many, many footnotes. We hardly looked at it in class, which was mostly about the first-century Christian evangelist named Paul. However, I came away with one piece of new information about Islam that really surprised me, which was that Muslims also believed that Jesus ﷺ was born of a virgin. 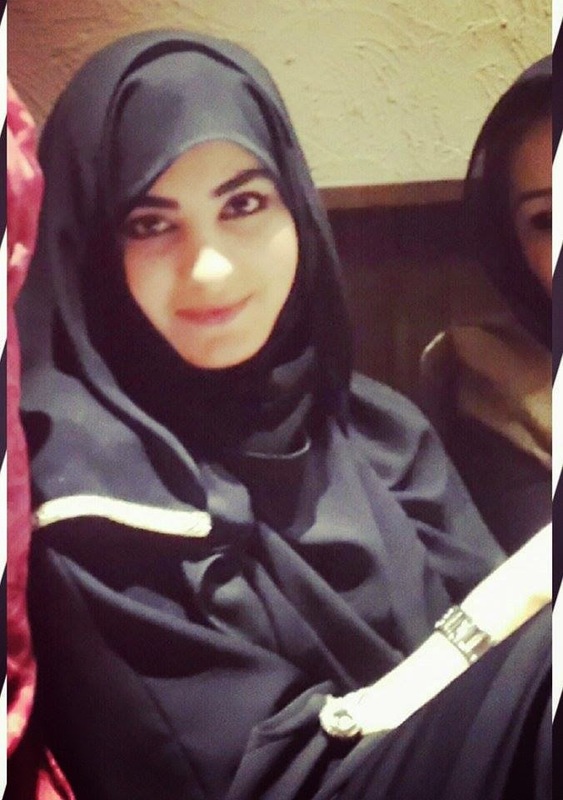 Islam disappeared from my mind until several years later, after I had finished college. At that time, I was teaching English in South Korea. One day, I found a mosque with a bookstore next door. I went in and met some the owner of the store. He told me that in Islam, a man's intention is part of his soul. He was very enthusiastic. Islamic theology seemed very deep and advanced. He had a real passion in his eyes when he spoke about the religion that I didn't often see in any of the Christians that I knew. I have heard other reverts say that Islam was the last religion that they turned to in their search for the best way of living. That was also true about me, and so despite these early encounters with Islam, it did not come into my heart. I continued my teaching career in Japan, still looking for the right way of living. In the ancient city of Kyoto, there were a lot of little shrines there to different spirits. Most Japanese had no religion, but I met some people who had a Bible written by a Japanese man in the 20th century. People said Kyoto hadn't been destroyed by earthquakes because there were too many gods there. I didn't find anything in Japan that was worth committing my life to, and I kept thinking about Jesus ﷺ. I began to pray the rosary a lot. I had always loved this dark and mysterious prayer. But as I said it over and over, the last line began to seem wrong. How could God have a mother? I stopped saying "mother of God" and replaced it with "mother of Jesus." But it began to seem strange to be asking for help from someone who had died. I knew that we could speak directly to God - He created us, He is always there. So I stopped asking Mary (peace be upon her) to pray for us. Eventually, I returned to the States. There, I had a vision of Satan and the Fire. I was on the train, going far out into the suburbs to meet a friend. And I was writing in my notebook, praising God, telling Him how Wonderful He is! When I waiting for the train to go back, I saw a vision in the clouds. I saw an old roommate of mine from college. He was walking. He was dead, and he did not know. He was in the Fire. This man was basically a good person, it seemed, but he was arrogant. Suddenly, a demon came from behind him and bit his neck then another demon came and bit the demon who was biting him then another demon came and bit the demon who was biting the demon who was biting him. Then a woman came. And she tortured him. Then the images departed and I saw Satan the Rejected. He flexed his muscles, as though he was proud of all the evil he had caused. But in truth, he was just a slave of Allah, like everyone else. And that was the beginning of my reversion. This vision troubled me deeply, and from that time, I began to be visited by Jinn. When the Jinn spoke to me, I heard their voices through other sounds - through the sounds of electrical appliances, or running water. I thought that perhaps, since the Jinn were made of smokeless Fire (Quran 15:27), they travelled through electrical currents, or through water. They said some things that were true, but most were lies, which seemed true, until I thought about them a lot afterwards, and decided that they weren't. I had never heard voices like that ever before in my life. I decided to go to Vietnam. This was as a way to continue my teaching career, but I chose that place because I wanted to enter the psychology of suffering people that had been inflicted by my country. Since I was born on the Fourth of July, I felt a special connection to the United States. In Vietnam, I became a Prophet - the Last Prophet. Or that is what I thought. In Vietnam, I saw a lot of people born without arms and legs, because of the American use of the genotoxic chemical weapon Agent Orange. I began to have strange dreams, and to have visions. And I thought I was receiving prophecies from God. The Jinn had told me that the world was going to end on 12/12 - December 12, 2012. At the time, I believed it, because I didn't know what Jinn were, and I didn't know where the voices were coming from. I published my revelations in a blog called "Visions of the End of the World." The blog had bits and pieces of texts from all the religions I had studied - the Bhagavad Gita, the Buddhist scriptures, the Gospels, the Torah, and eventually, the Quran. A significant portion of the messages were to the Jews. It seemed to attract their attention, and when I heard the Jinn, they began to be accompanied by the voices of Jewish people. God was telling the Jewish people to change their ways and stop oppressing the Palestinians, because He told them not to oppress the stranger, since they were strangers in the land of Egypt. "Do not mistreat or oppress a foreigner, for you were foreigners in Egypt" (Exodus 22:21). In fact, Jewish voices often accompanied the Jinn. The other significant message from God was for the Jews to rebuild the Temple, to reinstitute the sacrifice they had abandoned, and so "The one who they will call Messiah will come." But the Temple specified by Ezekiel (Ezekiel 40-43) was too large for Temple Mount. Jesus ﷺ never said that he was the last prophet. So as a Christian, it was not impossible for me. I began to go to church regularly, in Vietnam. I was reading the Bible quite a bit, and struggling to understand it. I began to make the Sign of the Cross backwards. I was deeply affected by my own country's role in the plight of Vietnam, and increasingly, that of another country in the region, Cambodia. Cambodia had experienced a genocide led by a criminal psychopath named Pol Pot, as a result of the American interference in Vietnam, which had been a result of lies told by President Lyndon B. Johnson that became known as the Gulf of Tonkin incident. The streets of Cambodia were largely empty of people. I felt an enormous sadness, and since my own country had caused this suffering, I felt responsible. I saw that the government of Cambodia was evil, led by a former Khmer Rouge member named Hun Sen, who has one eye, like ad-Dajjal. Hun Sen had torn down people's houses near a lake, and drained the lake, and sold it to the Chinese, in order to build a strip mall. So, I began to criticize them severely in my blog. As a result, they began to practice magic on me. But all this time, I felt protected by God. Even my local friends said this. One day in church, a letter came to me from God. It said, "go to Cambodia and work in an orphanage for one month. And give your guitar to an orphan." So, I started to get ready. Then I was visited by Satan. He was crafty and manipulative. I was being followed by strange people. One day, George W Bush spoke to me from the toilet - because he was a member of Skull and Bones. I was very troubled by this visitation. It was very important for my reversion, because, from this incident, I realized that I was following the wrong religion. That was because, following the Christian religion, didn't protect me from visitations by devils. One time, a big group of shayatin came to my house who were working with people in the area who practiced magic. I could see them, and one of them stuck his tongue out at me from a tiny hole in the ceiling and made an unnatural noise, like hissing. I got out of there I think that very same day. On the way to the bus, I saw a human devil. He was riding a red motorcycle. He was the ugliest thing I had ever seen. I was writing a blog on blogspot, writing all the prophecies that came to me - the messages from God. It was confusing. Some of it I felt was true, and some of it seemed doubtful. One of them said: " Forget God and you will be forgotten." Later I saw something like it in the Glorious Quran. Alhamdulillah, I escaped from the devils and their supporters to Cambodia and Vietnam. That is the place where I started to become a Muslim in Cambodia, I found an orphanage, called Rainbow Orphanage near Siem Reap. And I gave my guitar to a young man whose name was like mine - this is something God told me to do - to give my guitar to an orphan there. I worked there one month. during this time, I began to pray lying down, with my face on the ground. It was sujud when I didn't know how to do sujud. When I was in Cambodia some words came to me - that I believed were from God - "You will go to ANKOR and then you will study KORAN" (Ankor Wat is the largest religious structure in the world, although now it is in ruins). A little while after that, I went to Ankor Wat. When I returned to the U.S. from Cambodia, I applied for a job teaching English in Saudi Arabia. At the same time, i took a keen interest in Judaism. My grandmother on my father's side was Jewish and my grandfather's lineage was from Siciliy. His father's father was an orphan, so we lost track of the origin of our family name, "Obis." But when I later came to Arabia I thought it must be from Arabic: عبس, because Sicily was ruled by Arab Muslims for a long time. And so Obis was probably the Latinate rendering of this Arabic name. There was some other evidence to support this view. I knew that either Judaism or Islam was the correct religion, but i didn't know which religion was right. They had a lot in common: both required circumcision of males and prohibited pork. So I knew I wanted to be either Jewish, or Muslim. I was staying in a hostel in Chicago. I continued praying by lying face down on the floor: at this time I was reading the Zabur I had a dream about 'Isa ﷺ he was wearing white, and walking away from me. Later on, I realized that this was his way of saying "I never told people to worship me, and I am innocent of your asking me for help." then in a dream, I saw God He was the Ancient of Days from the Book of Daniel 7:9 "And the Ancient of Days was seated; His garment was white as snow, And the hair of His head was like pure wool." He looked very friendly but also extremely powerful, and He had seen everything He was sitting in a wooden chair He had a square of paper in his hand, with the number "12/12." My father bought me a Jewish prayer shawl made of white wool, with part of the Torah written on it. It was made in occupied Palestine. After he got it for me, I never prayed without it. I didn't understand the Torah. It was really difficult. I wondered if I would come to Saudi Arabia, and then move to Palestine, and become a Jew. It was called a tallith. There were white tassels on the ends called tzizit. The Jews said that Allah's tallith was light. There was something strange about the tallith. As recorded in the Torah, Allah told Musa ﷺ "speak to the children of Yisrael and you shall say to them to make tzitzit on the corners of their garments throughout their generations, and to put a blue cord in the tzitzit of the corners. And it shall be to you for a tzitzit and you shall see it, and shall remember all the commands of YHWH (Yehowah) and shall do them, and not search after your own heart and your own eyes which you went whoring, so that you remember and shall do all My commands, and be set-apart unto your Elohim" (Deuteronomy 22:12). All the tzizit (tassels) of my tallith (shawl) that was made in israel were white. None of them were blue. I researched the issue. It turns out that most talliths are made without the blue strand. This is because the Rabbis are so nit-picky they cannot decide which animal the blue dye was originally made from. Later on, it reminded me a lot of the Jewish arguing and quibbling of Surat al-Baqarat. They disobey Allah's word in the Torah because they still cannot agree on which animal to make the dye from. So I got a blue pen and colored one of the tzizit blue. I went out for pizza and with some visitors to my city, Chicago. I had been thinking of giving up eating pork for Allah's sake. But when we were sitting in the restaurant, I realized that the sausage in the pizza probably had pork but I thought to myself, "it's for the guests, and it's the only time I will eat it." Then I went home and I said to Allah, "I will never eat it again." When I woke up in the morning, there were words in my mind very clear. The words were: " Today I have made you a Muslim." That was the most wonderful moment of my entire life until that point. I still wonder about it. I didn't know what a muslim was, so I looked in the dictionary. It said that the world "Muslim" meant "One who surrenders to God." It came from the word "Salaam," which meant, "peace." So being a Muslim meant having peace because you surrendered to God. On the visa application they asked for my religion. I looked up how to become Muslim online. And I saw that you made the shahada: "There is no god but God (Allah), and Muhammad ﷺ was a Messenger of God." When I returned to the States from Cambodia, one of the first things I did was buy a Qur'an, in English. I had never actually read it before, except for the first Ayat: بسم الله الرحمن الرحيم This Ayat affected me very strongly. Before I read the rest of the Qur'an, I thought about this Ayat for months. The Qur'an was just like the revelations that had come to me before, except it was purified. The speech was organized in a way that I couldn't find when they were coming to me. When I read the Quran later, I found the perfect way of expressing it: قل (Say:).When the words and revelations came to me, they were mixed-up and I could not figure out how to express them. This is what the Qur'an looked like: I thought, I knew how Muhammad ﷺ felt. I didn't know that he ﷺ was actually the Last Prophet. And I had deleted my blog Visions of the End of the World because some of it didn't seem right, and I didn't trust it. Parts were true and parts were not. I had begun a different blog, which was called, I Am the Last Prophet. So I really believed that Muhammad ﷺ was a Prophet. And I wasn't sure if I was, or not. I didn't know exactly what a Prophet was. But I knew in general, that it meant that God wanted him to tell the people something. And I believed that Muhammad ﷺ was one. And I believed in One God. So under religion I wrote, "Muslim." The Saudi embassy in Washington asked for proof of my religion. But I had never prayed in a mosque. So I wrote down the shahada, and I went to a public notary, and had the document certified. My father brought me to a mosque. The first time I entered a masjid was 1/1/1433. But it was just to see it. He's not Muslim. But he was supportive of my getting a new religion that would be structured. We just went to the Muslim neighborhood in Chicago near Devon and Wester and stepped inside. A sign in the window said: “Don’t talk to strangers.” Boarding the plane to Arabia, I was still not sure about whether I would be a Muslim or a Jew. But when I met the Muslims of Arabia in person, my heart filled up like a balloon. They weren't like the people I knew in the USA. They were really patient. I loved their commitment to religion, which was beyond anything I had ever seen. They were courteous and devout. They smelled nice. I was teaching in the Aramco program. My students were 18-22, all males. All of them were chaste, and none of them had ever drunk alcohol. I couldn't believe how pure they were. It made me really happy. The culture I came from prized fornication and drunkenness. They didn't consider you a man unless you fornicated as soon as you were able. Our families were mostly broken up. At this time, I was still occasionally hearing voices. The voices and feelings that I had of being followed by Satan the Rejected and Illuminati were almost tormenting me. But then, something amazing happened. I read that, if a person read Ayat al Kursi after every prayer, he would be protected from devils. By the Grace of Allah, I memorized this Ayat in Arabic (which is remarkable, because I had zero knowledge of Arabic and wasn't used to memorizing anything), and I began to say it after every prayer. The voices immediately stopped. AlHamdulillah, I have said Ayat al Kursi after every prayer since that time. Shortly afterwards, I was moved out of the hotel where my company had put me, and was moved to another hotel, where I met some of the other teachers. One of them was an extremely kind Syrian Muslim, and we became dear friends. He showed me some basics of the religion. I was amazed to discover wu'du (ablution). I couldn't believe I hadn't ever done it before. People brought me a lot of books - all kinds of books about Islam. 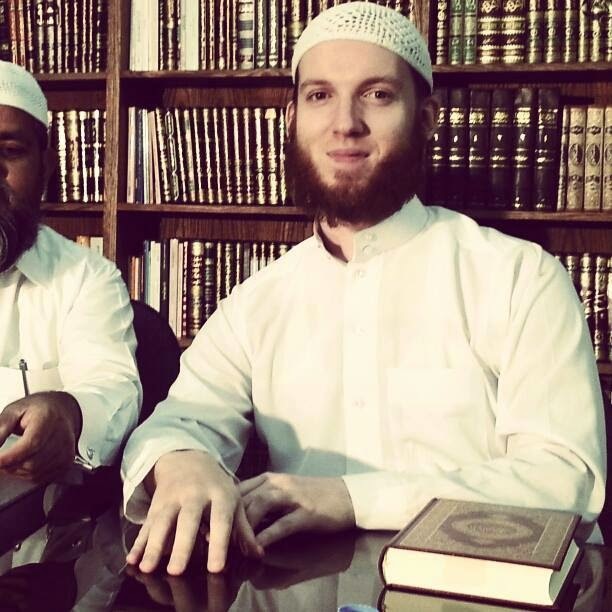 I heard Shaykh al-Sudais reciting Surat al Fatihah on the KSU Quran website. I was amazed to hear the Qur'an. It was sung, like the ancient people used to sing Homer and Beowulf - not read in flat monotone, like the Gospels when I used to go to church. I was amazed to find about how to pray - bow, and then prostrate. I never prayed like that before in church. We only kneeled down. I realized that my whole life, I was searching for Islam. In that hotel, I had a dream of Allah. There was a big eye that looked like the Helix Nebula. Inside it, I saw the scales of Justice, and then a rapid succession of abstract symbols. I fell to my knees saying, “Allah, Allah.” Allah was much greater than the God I was familiar with. As we began our working teaching English, I was learning more and more about the religion of Islam. My Syrian friend began to introduce me to a series of extremely gracious and kind individuals who inquired about my religion, and my belief that I was now Muslim. Eventually, they brought me to a main da'wa center in Riyadh to speak with a very learned scholar of the religion - a sheikh - and I still had some small doubt about whether Jesus ﷺ was the "son of God" in a literal sense, or a metaphorical sense. My instinct told me that it was only metaphorical - that "son of God" was a term for someone who God loved. So I asked whether in Islam, Jesus ﷺ could be called a "son of God" in a metaphorical sense, and he said yes. I felt very good about this answer and confidence filled my heart. I made the shahada there in the office and it was tape-recorded - they put the video on YouTube. Then he said we would go to the masjid and make the shahada again. I didn't know why, but we went there. He told me to repeat after him some words, which were "Jesus (ﷺ) is a man and a Prophet, and not the "only begotten son of God" (which, I later learned, was an interpolation, a fabrication, inserted into John 3:16 by the King James translators of the Bible, which was used in the English speaking world for several centuries). After the shahada, which was after Isha'a prayer, many people in the masjid came up to me to hug me, and many of them had tears in their eyes or on their faces. I was amazed - "Why are they so happy? I wondered. He told me to go home and take a shower, which I did. Then, two incredibly amazing happened - Glory be to God forever and ever. I heard many voices which I understood to be angels, saying "Salaam alayikum!" and "AlHamdulilah" and "SubHanAllah" and "Allah akbar." Then I went to my room, and I picked up the Qur'an I had brought from the States, which was entirely in English, and I opened it. When I looked at the page, I felt a piece of cloth, or a veil, fell from my face, which was upon my eyes and I understood, in the same moment, in a flash, that the Qur'an was 100% the direct speech of Allah and it was not Prophet Muhammad's ﷺ words but the words of Allah. One of the last things that I heard from what I believe was an angel, and it happened shortly after, was "Your name is Muhammad." So the first Muslim name that I took was Muhammad Abdullah. By the one in whose hands my soul is, this is how I became Muslim. Glory be to Allah, the Holy, the Sublime, the King, who has no partner and shares his authority with no one. May His Peace and Blessings be upon His Final Messenger Muhammad ﷺ and his family as His Peace and Blessings were bestowed upon Ibrahim ﷺ and his family. May Allah forgive us and give us what is good in this world and the next, and re-establish our Khalifa, in order that we may live according to His Laws peacefully with our neighbors. Assalamu Alaikum brothers & sisters. 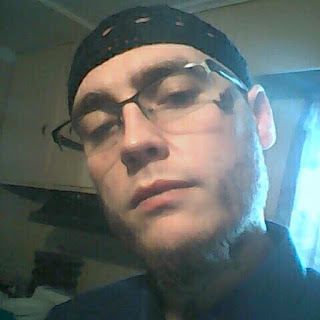 I am a new revert to Islam and live in an area where there is not much of an Islamic community so I’m reaching out on the internet to connect with other Muslims. It has not quite been a full year yet since my conversion and I still have a lot to learn but this first year has been an amazing journey already. If I may, I’d like to share the story of my coming to Islam. In’Sh’Allah, others may be inspired by my experience or learn from it in some way. Thinking back, It makes perfect sense that I would be called to Islam as my chosen religion. It’s been right in front of me my whole life although I’m only now seeing it. You see, my life’s career has been as a professional performer & teacher of Middle Eastern dance. For 20 years I have worked within the Middle Eastern communities throughout the United States, performing in Mediterranean restaurants and at functions such as wedding receptions and various other special occasion celebrations many times with live musicians from the Middle East. I have always loved middle-eastern music, art, architecture, fashion, jewelry and of course the dance. My life has been very influenced by Middle Eastern culture and many of the people I have worked with over the years have been Muslim. I have always been a spiritual seeker and have been very dedicated to my spiritual path for my whole life but never felt comfortable claiming myself to be any one particular religion because with all of the religions I had studied, I never found one that really felt in alignment with the spiritual beliefs of my heart until I started learning about Islam. In my life I’ve studied everything from Christianity, Judaism, Hinduism, Buddhism to Bahai and even Paganism. With all of my searching, I never considered that Islam could be a path for me so I never studied it. I don’t know why I assumed that without knowing anything about the religion but SubhanAllah, Allah found a way to guide me to the path anyway. I started my research in March of 2013 by doing internet searches on “Islamic spirituality’ which first led to me watching documentaries about Islam online and eventually led me to discovering & taking an online video course on Islamic Meditation www.islamicmeditation.com . As a watched the first few documentaries and took the course, I felt so much excitement & amazement because I was discovering that that so many of the natural spiritual beliefs in my heart are at the core of the spiritual teachings of Islam. I was intrigued by what I was learning and wanted to learn more and more. I even started watching videos on youtube about people from all walks of life who had converted to Islam. Everything I was learning made total sense to me and made me want to keep learning more. In everything that I was learning, I could not find anything that I disagreed with. As Ramadan of 2013 was drawing near, I had decided that I was going to read Quran and do the fasting for Ramadan and then assess my experience afterward and make a decision on if I wanted to convert or not after Ramadan. This plan changed when on the night before Ramadan I watched another documentary on Islam called “Islam for Dummies’ http://youtu.be/A-678-XuX4M . Something about the way the information was presented in this video left me feeling like I didn’t need any more convincing (by this time I had watched many documentaries, took a 6 week online course & watched hundreds of conversion stories) and I felt in my heart that I wanted to convert. I watched the same video again the first evening of Ramadan, told my friend that I wanted to convert to Islam and said the shahada to myself that night. I did read the Quran cover to cover during Ramadan and did the fasting as best as I could. Once I read the Quran I knew for certain that my choice to convert was right for me. I felt like it was the only choice to make, knowing what I learned from the Quran. I started learning about & practicing wudu and the prayer during Ramadan too. I learned the wudu online and for the prayer I followed along with videos on youtube. 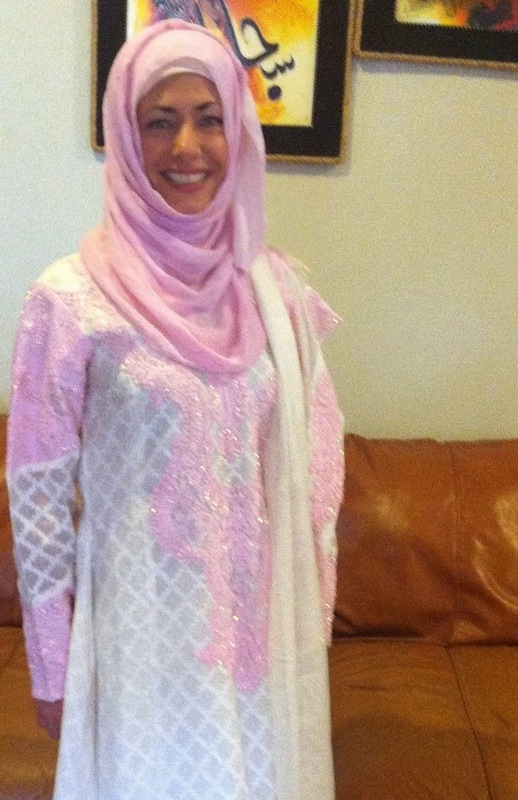 About 6 weeks after Ramadan I was invited by my friends family to attend their mosque with them for prayer and so I did. This is the day I officially took my shahada with the Imam of the Mosque and my friend’s family there with me as my witnesses. They even had a party for me at their home afterwards to celebrate my conversion. Words can’t describe how much joy I felt in my heart that day. It felt like coming home after being lost for a long time. I feel so happy & blessed to have been guided to Islam. The prayers make me feel so closely connected to Allah and everything I am learning about the core spiritual teachings of Islam feel totally in alignment with my hearts truth. That right there is a huge blessing. I want to live my life based on the spiritual teachings of Islam in the best way I can. It’s taken me 8 months but Alhamdulillah, I have the prayer memorized in Arabic now and can recite it without having to follow along to videos anymore. The main struggles I am facing now with my growth in Islam have to do with the fact that I do not have a Muslim community in my home town. The closest Mosques are 2 hours away in Phoenix, AZ ( I live in Sedona) and so I have very little support with my growth in Islam. I do intend on visiting some mosques in phoenix when I can but right now I am primarily having to learn thru my own self guided study and I wish I had more Muslim friends around me for support and to develop friendships with. I do want a Muslim husband too and so feel unsure as to how that will happen. My closest friends and my immediate family members all know that I converted to Islam and subhanAllah they are all very supportive of my decision so I am happy about that. These days I am taking some time to integrate all that I have learned in the past 9 months as I am step by step deepening my understanding of Islam and refining my practice of prayer and Islamic lifestyle. I hope to meet and make more Islamic friends within the next year. This first leg of my journey has been a bit of a whirl wind so I am looking forward to getting more grounded and balanced with it in moving forward. One day, this man contacts me, and he tells me about a group of Muslims who were visiting in town. He wanted me to meet them. I agreed. I went to meet with them after Ishaa [night] prayer. I was led to a room with at least 20 men in it. They all made space for me to sit, and I was placed face to face with an elderly Pakistani gentleman. Mashallah, this brother was a very knowledgeable man in matters of Christianity. He and I discussed and argued the varying parts of the bible and the Quran until the fajr [dawn prayer]. At this point, after having listened to this wise man tell me what I already knew, based on the class I had taken in Christianity, he did what no other individual had ever done. He invited me to become a Muslim. In the three years I had been searching and researching, no one had ever invited me. I had been taught, argued with and even insulted, but never invited. May Allah guide us all. So when he invited me, it clicked. I realized this was the time. I knew it was the truth, and I had to make a decision. Alhamdulillah [All praise be to Allah], Allah opened my heart, and I said, “Yes. I want to be a Muslim.” With that, the man led me in the shahadah [the testimony of faith] - in English and in Arabic. I swear by Allah that when I took the shahadah, I felt the strangest sensation. I felt as if a huge, physical weight had just been lifted off my chest; I gasped for breath as if I were breathing for the first time in my life. Alhamdulillah, Allah had given me a new life — a clean slate — a chance for Jennah [Paradise], and I pray that I live the rest of my days and die as a Muslim. Ameen. The journey that has just begun. About 10 years ago when my parents split up. I had this urge to have a perfect family since. I grew up learning from the circumstances, from people around me, from places I travelled and live. I had a sister who died of Hepatitis at the age of 17 and I was only 11, my younger brother was 9 and elder one was 13. We had never heard of any sort of disease nor had we known that people can die so young. My family needed a strong leader to help fill the void left by the death of my sister. It was a shock for the whole family, nobody could believe for years that she was gone. Though four of us left behind, I, My two amazing brothers and my mom were too affectionate. I didn’t feel like I was lacking love or attention. But there’s always been something missing. I had trust issues and I wouldn’t make friends so quick. I used to be a very happy person and cheerful but a lot of things changed after the death of my sister. It wasn’t just the pain of seeing my family break down in front of me and the shattering of the image of my father whom I idolized, nor was it the traumatizing loss of my amazing elder sister who I deeply loved, depended on and looked up to, but it was a loss of my innocence, of my vanished childhood and the resulting shattered belief in life. Inwardly I felt fate had abandoned me and taken away all that I held so dear. I would never let my pain be known and carried on with an outwardly smile. By the time I was 16, I felt like my life was falling apart from an emotional aspect. As far as my Education, career and my future God had truly blessed me. I was so grateful and lucky that I’m physically in the position I’m in Alhamdulillah. I took almost four years to find myself with the help of some amazing friends. I’m pretty sure most girls of my age go through this. When I was 18 I started working as an Actress and made some really Good friends. My co-Actors Sarah Chaudhry, Mariam Ali, Affan Waheed, Jamal Shah, Layela Zuberi were like my family. I could totally be myself with them. Strange thing was, every time we’d sit together we’d talk about GOD and nature and HIS creation. How we fit together in this world and It’s system. Because I’m very spiritual and always have been, I was really interested in all of this stuff. But if you talk about religion and Qur’an, I’d run away !!! Well My Journey had begun then to Where I am today. I’ve lived a Kaafir’s life. I was only called a Muslim because I was born in a Muslim family otherwise I have done much to disappoint Allah Subhanahu Watalla and My Prophet (May peace and blessings be upon him). I was looking for a miracle to happen. I was probably waiting for Angels to come down and wipe my tears off. And that actually happened, My friend Sarah . She had left Showbiz and moved to Abu Dhabi with her husband, went all religious. Definitely left me with too many questions. My thinking process had increased and then I started feeling guilty and ashamed of myself. I hated myself like never before. I was upset because I used to be a really nice girl, I used to be loving, caring, disciplined and smart. And maybe I was feeling this way because I’ve always been extremely sensitive. The question that shook me was ‘’Why have I ruined myself into this worldly environment’’ I knew she was hitting me where it hurts the most. She knew I was capable of changing. Is it Satan that took control over me? One by one I stared to Quit and eliminate the bad things and people from my life. I needed good influences. I needed motivation to stand up for the Truth. I didn’t really know what to do but I kind of knew that I’m not too far from the reality. End of 2011, I find out Sarah is coming back to Pakistan. She invited me to this event, where she’s giving a speech and some other scholars & researchers are attending too. I and Mariam (My friend) had planned to go see Sarah to Islamabad few hours’ drive away from Lahore. As we reach to the venue Faisal Mosque, my heart sank. The first tear dropped by just looking at that Masjid (Mosque) it looked so spiritual and peaceful. We walked across the corridor and I see book stalls left & right. Boys and girls are standing smiling selling Islamic books. They were so welcoming unconditionally Alhamdulillah that I almost forgot that this is the same world we live in. We entered the first Hall when I found out that the event was organized by Al-Shifa medical college. I was really excited because I was experiencing it for the first time. The first hall we went to, all girls were sitting there and a fashion show was going on. Lol before you jump into any conclusions this was an ISLAMIC fashion show of Obaya’s (veils) and appropriate dresses for Muslim women. But I was probably expecting a little too much so for me it was almost inappropriate fashion show. As all girls were screaming out loud and they played this ugly music for the runway. Anyway after the show this lady walked up on stag, she wearing a beige coloured veil. As she starts to talk, She said “Assalam o Alaikum, with the name of GOD here I am today to talk about the most important thing that our youth (especially girls) go through “The void”. Instantly my jaw dropped and I thought for the first time in my life and I MEAN IT (the first time) I was exactly where I was supposed to be. I felt like GOD is communication with me directly. All these years the questions I had on my mind. She had answered so easily in 20 minutes. As we walked the second hallway I see this man preaching standing on the stage. He is a researcher named Adnan Rashid. He was talking about women in Islam. For an hour, I was listening to him. I was so involved that I didn’t know where I was and who were with me. I was in a state of shock and couldn’t see him clearly; he was a blur as tears wouldn’t stop rolling down my cheeks. My shawl was gone wet. Changed the whole purpose of my life. The whole prospective towards this world. I walked out of that place promising to myself that I will bring the Revolution. I will be the motivation and I will inspire people. I had found my identity, I had found myself. Because brothers and sisters, the fact that is undeniable is that we’ll have to face ALLAH subhanahu Wa talla one day, whether we want it or not. He definitely does not need worshipers but HE’s our creator right? Like our mother and HIS love for us is 70 times more than 1 mother, Imagine that passion of love and imagine its ‘unconditional’. Imagine if HE loved me even after I neglected HIM so much. HE loved our Atheists, Jews and Christian brothers and sisters that they’re converting to ISLAAM every single minute of the day!!! Ask yourself why? I did, and I found the answers. WALLAHI we can’t even imagine the amount of Love that ALLAH has for us. Tears wouldn’t stop falling down my cheeks as I get flash backs of my life. I’m a sinful person and I’ve been so unfortunate not to accept ALLAH subhanahu Wa talla in my heart and how lucky I am today that I get an opportunity after everything that I have done.